Forex, sometimes called FX, is the largest market and involves trading in foreign currencies. The total daily volume of transactions exceeds 4.5 trillion dollars. Forex differs from other markets mainly in that it does not take place on a stock exchange. Not only are investors involved in currency transactions, but so too are banks, hedge and investment funds, insurance companies and many more. Currency pairs are always traded here, the most common being the USD/EUR. Also the greatest interest is in the Japanese yen, the Swiss franc and the British pound. Investors monitor exchange rate movements and then buy or sell accordingly with the aim of gaining as much as possible on the subsequent sale. Exchange rates usually fluctuate according to the economic strength of the given country, inflation and other factors. The advantages of this market are that you can trade on it 24 hours a day, there are never any restrictions, and it all depends on the skill and investment abilities of each individual. You can also open a long or short position. Forex is a relatively speculative way of making money, but the advantage is that you can also operate with small sums. For this reason Forex is one of the most popular and widely used markets in the world, where even complete beginners can start,and NelsonFX also offers it. Still, it is always necessary to remember that you are taking a risk, but one that you will inevitably enjoy. With NelsonFX you have the most advantageous conditions on the market. 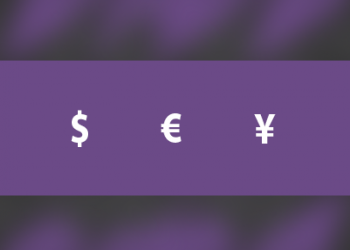 With NelsonFX you have more than 100 currency pairs available, and thanks to these, you can speculate amongst any currencies you wish to, and have all movements on the currency market at your disposal. We provide our clients with the best personal and telephone support, in your mother tongue and completely free of charge. In the case of the Live Premium tariff you also have your own personal assistant at your disposal. Forex is the biggest and most interesting of all the financial markets. It is open 24 hours a day, and the daily turnover is around 5 trillion dollars. This market enjoys the greatest interest amongst traders. In the case of NelsonFX, trading on Forex entails no fees, and the broker’s only profit are the so-called spreads. These fluctuate between 0% and 0.0012% of the volume of the performed contract. Thanks to so-called financial leverage and trading using micro lots and mini lots, you can achieve significant appreciation and profit on the Forex market even with a small sum of available finance. Realistically it is possible to trade with lots from 100 dollars up. On the Forex market you trade in currency pairs, and you always speculate on strengthening or weakening of one currency against another. If you think that the euro will get weaker compared with the dollar, buy the currency pair EUR/USD. The best known currency pairs are EUR/USD, USD/JPY and GBP/USD. For more information about FX trading conditions, please visit the Forex Trading Conditions page. NelsonFX.com reserves the right, at its absolute discretion, to widen spreads, decrease leverage, control maximum order amounts and limit clients’ total exposure. Please go to our Terms and Conditions for full terms.